Businesses have snapped up many of Middlesbrough Council's last remaining vacant units in the centre of town. Six of the seven Middlesbrough Council-owned premises that were recently targeted as part of an initiative approved by the council's executive have been let. Gilkes Street is now the home to three independent retailers specialising in crafts, printing and embroidery services and holistic therapies, completing that row of businesses. Business owner Josie McCabe, who has The Craftery, said: "This location is fantastic as it's right in the centre of town, yet it's affordable enough to allow me to develop and grow my business." 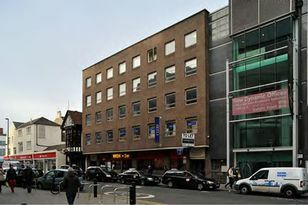 Other units in Broadcasting House and on Corporation Road have also been let, including to a community interest company and a takeaway food outlet. Councillor Charlie Rooney, Middlesbrough Council's executive member for regeneration and economic development, said: "These are tough times for businesses everywhere, and Middlesbrough Council recognises this. "Empty shops not only have an effect on the landlord but also on neighbouring businesses.